What an absolutely AMAZING feeling – hearing your own song on the radio for the first time!!! Goosebumps! 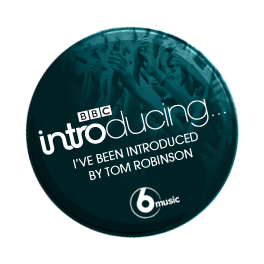 "Fragile Girl" was included in Tom Robinson's BBC Introducing Mixtape at 2am this morning. It was well worth trying to stay awake for! You can "Listen Again" by clicking here or you can download the podcast by clicking here. I'm also featured on Tom Robinson's website – you can see this by clicking here. You can hear "Fragile Girl" at 17 minutes 19 seconds (to be precise). If you haven't already, you can download "Fragile Girl" from iTunes and Amazon and many other stores (see the links on the right hand side of this website). Happy listening! Singer/Songwriter, Kal Lavelle performed last October at Lauren's birthday gig at Dusk Till Dawn in Archway. Kal asked Lauren to perform harmonies as a special birthday treat and you can see the video below. Lauren has featured in a recent blog called "The One Question Interviews" which has been created by Marion Brown. Marion has created a "milestone list" and one of the items on her list is to "conduct as many 'One Question Interviews' as possible". Lauren was really excited to be asked to do this and, after eventually getting around to it, now appears on Marion's blog. The purpose of the 'One Question Interview' is for the "interviewee" to select 22 tracks that would feature on a mix CD. Click here to read Lauren's 'One Question Interview' on Marion's blog.